parties in the state after the Lok Sabha polls. put up candidates for the four seats. 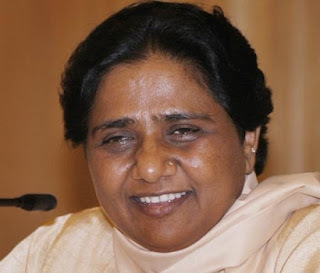 BSP which is going to spring a surprise by winning all the 4 seats. PROFESSION ————— Political, Social Worker and Lawyer. OTHER INFORMATION —- Teacher, Delhi Administration, 1977-1984. POSITION HELD 1 Elected to Lok Sabha for first time in 1989. 2 Re- elected to Lok Sabha for second time in 1998. Leader of B.S.P. Parliamentary Party in Lok Sabha. (Resigned on 25th October 1996). & leader B.S.P. Parliamentary Party Rajya Sabha. President of Bahujan Samaj Party. C- 57, Indrapuri, New Delhi- 110012.
votes, it is an indicator of SC/ST unity and a boost to BSP. BJP candidate G N Nanjundaswamy was never close to the people. of the Clause VII of the model code of conduct. Sources in the office of the Karnataka Chief Electoral Officer (CEO) told The Hindu that the commission had issued the order and censured the Chief Minister. candidate in the byelection to be held on Tuesday. “drought-hit” if voters blessed the party candidate. August 14 for violating the model code of conduct. On August 15.
voters in their Door-to-door campaign. Minister Somanna locked inside garment unit? BANGALORE: Karnataka Pradesh Congress Committee working president on Monday alleged that Housing and Muzrai Minister V.
workers and some residents locked him there for some time. from covering the news report. Election Commission censured Chief Minister B.S. and extend all protection to the Opposition candidates. influence voters in the by-elections to be held on Tuesday. Why Minister Somanna locked inside garment unit? There is a good response from the voters and Subash Bharani from Kollegal , Nahidha Salam from Govindarajanagara,Ayappa from Chittapura, Mallikarjunaiah from Ramanagara and, Sujeevan Kumar,are likely to spring surprise despite of all odds such as money power, removal of Bahujan samaj votes from the voters list and the doubtful EVMs. Price rise, Draught condition, water and power shortage and bad road conditions issues are all not favourable for the ruling party and as the Caders of BSP have taken these issue to the door steps of the voters it will work in favour of BSO to spring a surprise. Du Fu said in his “Thatched Hut Poem”. Ca = and; evaṁ = thus. from his companions and realized that he was all alone. he heard the sweet voice of a young woman. She was singing as she collected firewood. indeed the King of Benares. She gave him directions for getting back to his palace. So saying, he departed for Benares. the fullness of time, the firewood woman gave birth to a cute little baby boy. but she saved the king’s signet ring. other children picked on him. They yelled at him, “No-father! said, “Don’t be ashamed, my son. You are not just an ordinary little boy. she agreed, and the next day they set out for Benares. the boy sat in the cross-legged position, suspended in mid-air, without falling. would be the crown prince, and his mother would be the number one queen. prince wanted to show the people that all deserve respect, regardless of birth. He went on to rule the kingdom in a generous and righteous way. moral is: The truth is always stronger than a lie. were responsible for the allotment of plots with immediate effect. Officer Mr. V. Kumar, Chief Project Engineer Mr. L.K. Gupta, Dy. report should be submitted in this regard at the earliest, the C.M. appear for hearing despite that they were allotted different dates. All the hotel owners filed S.L.P. in Hon’ble Supreme Court. “permanent solution” to the power shortage. was “not co-operating in the development schemes of the state”. Of the 71 districts in the state, 58 were declared drought-hit in three phases in the last week of July. Mayawati later awarded three ‘Utkrisht Sewa Medals’ to policemen who had shown exemplary courage. Governor B.L. Joshi hoisted the national flag at the Raj Bhawan and all government building were decked up for the occasion. opportunities for the proper development of industries. keeping in view the changing scenario. could increase and these units could start production soon. expanded in the entire State on the basis of results. State had received 211 investment proposals in the short period of only 28 days. industrial sectors had been received. investment area to be developed under Delhi-Mumbai Industrial Corridor Project. anniversary of the Independence Day. the occasion of Sri Krishna Janmashtami. in the form of Shrimad Bhagwat Gita for time immemorial. Janmashtami with full gaiety, fervour and devotion. expressed her profound grief over the death of Mrs.
chairman, “Swatantra Bharat” news paper. deceased and prayed for peace to the departed soul. going on at a local hospital since last 3-4 days.